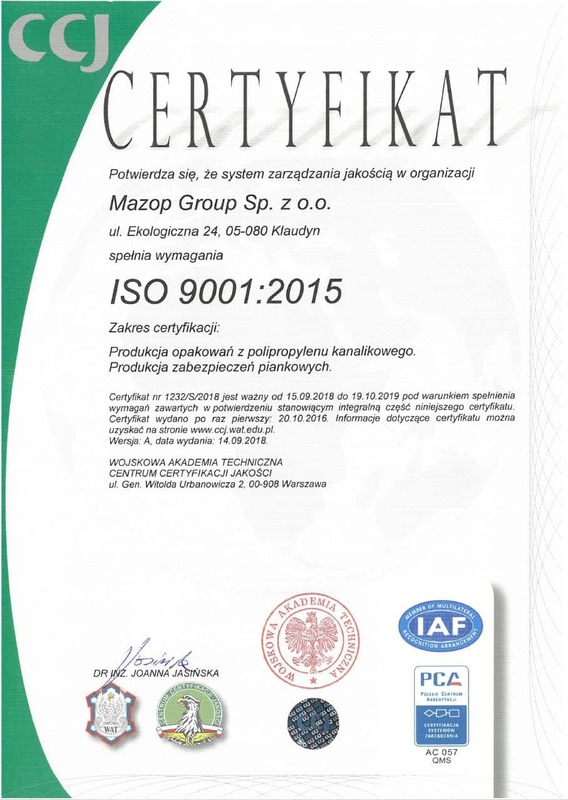 The MAZOP company specializes in the production of cardboard packaging and processing of polyethylene and polyurethane foam. As one of the few companies we provide our customers with comprehensive service. We will design cardboard packaging and the properly cut out foam, thanks to which the customer can be sure that the product is well protected during shipment. Our own design department allows you to develop an individual project according to your needs. We specialize in packaging adapted to the e-commerce market. We introduce innovative such as Fix Box, Sendbox, Rollbox, cardboard envelopes and many others. Our machine park allows us to perform such processes as CNC foam cutting, die cutting, milling, and delamination and contour cutting. We execute even the most complex orders and our materials include also special foam with anti-static, inflammable, and chemically resistant properties. We cooperate with foam manufacturers from Poland and abroad thanks to which our assortment includes several dozen different types of foam, such as non-cross-linked polyethylene foam, cross-linked XPE foam, EVA foam, physically cross-linked foam made of ALVEO polyolefin, polypropylene foam.